I was approached by Eli Maor the author of this DIY book to review. I love a good DIY book that have great ideas, easy to read instructions and that can be done with kids. I enjoy doing craft projects with my nieces and nephew and this book has TONS of great ideas and super great projects for teachers gifts, christmas gifts and so much more! NEW CRAFT BOOK TEACHES KIDS AND ADULTS THAT ART SUPPLIES ARE ALL AROUND US – JUST ADD IMAGINATION! twigs from the back yard. Craft Projects for Kids and Adults. leaving no stone unturned as you dive into creating. whole lot of DIY fun. connect with her on Facebook , Instagram and Etsy . 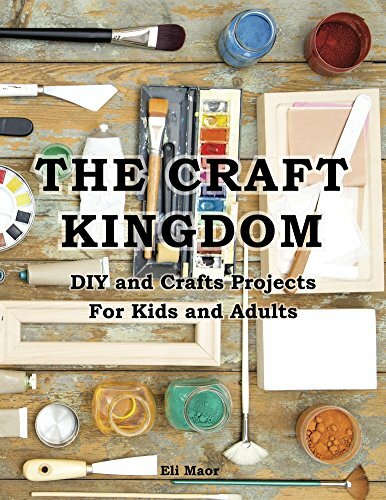 The Craft Kingdom is available through Amazon , Barnes and Noble and in select bookstores. Give this book a try! You and your kids will have so much fun creating and learning together!